Note: This is the second installment of the Email Marketing 101 series. Imagine for a moment that you’re in the process of cooking a delicious meal for a room of 500. You’re in the kitchen, and you’re creating some of your best stuff. The electricity runs out, you hear something explode in the oven, and a dog gets into the kitchen and eats up a big chunk of the main meal and a piece of the cake. You could blame it all on luck, but you realize that it could’ve been prevented. The same holds true for picking the best email marketing service provider. Pick the wrong one, and you may end up with an incident. Pick the right one, and you may end up saving yourself a lot of grief. 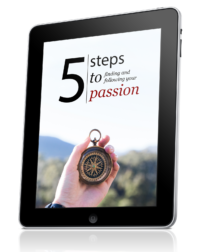 When you’re running a lifestyle business, you want everything to run smoothly, because the more you have to micro-manage the process, the less time you have to live life. That’s why I don’t go shopping for the cheapest email marketing service provider. I find the best fit for me. This doesn’t mean I buy the most expensive, just something that works. Many opt for cheaper solutions, but what they don’t realize is that the money they save they’ll make up for in wasted time and possibly other horrors, which we’ll go through in this article. So, How Can You Circumvent Disaster? 1) High Deliverability, so your emails reach their destination. 2) Ease of Use, so you can get it on your website or blog quickly without frustration. 3) Support, just in case something goes wrong, you can get help fast. Let’s look at each of these three factors in detail and see what they really mean, because just saying “look for high deliverability,” isn’t going to help you, is it? Great email marketing service providers make sure your email reaches its destination by having great relations with ISP’s or internet service providers, which means they ensure they aren’t banned or blocked by any ISP. They have strict standards for what emails you are allowed to send out. You can’t spam people or go crazy, but you can give value and help. If an email marketing provider allows someone to get away with shady behavior, it can affect everyone using the service, so a great provider will make sure only good stuff goes on and that everyone is happy with their service. Have you ever used a piece of software and given up in frustration because it just doesn’t make sense, and nothing seems to work? I’ve been there and done that, and it induces baldness, so I try to avoid it. That’s why any provider you use has to be easy to navigate. A great email marketing provider has to be intuitive to use in every aspect from putting a web form on your blog to creating emails that help you communicate with your subscribers. It could even have a WordPress plugin that you can use to get things going with a few clicks. And even if you run into trouble, you should have no trouble getting help. I value companies with fantastic customer support. I know I’ll run into trouble at some point, and I want someone to help me ASAP, so I don’t end up wasting time. Sometimes I get stuck, and being able to email, call, or chat live with support is something I appreciate. When you go for cheap options, it may seem smart in the short-term, but all the disadvantages add up. That’s what I’ve found in my years of using different services online. Is There a Service Provider That Has All of the Above? Now, obviously there are multiple email marketing service providers out there, so you’ll want to see what fits with you. But when it comes to a hassle-free provider that delivers when it matters, I trust Aweber and have been using them since 2007 with great results and no problems. If you want to save yourself shopping time, I recommend you go with them. Aweber costs $19 per month on their lowest tier at the time of writing this. If you think it’s too much, you should reconsider what you’re doing, because when you’re clear about what you want to accomplish, you can make $19 or more easily. You can write articles for others. You can put out a small product to your audience, or you can offer a group coaching program. The only reason you wouldn’t want to invest the money is because you’re not ready to take real action. If you’re not serious about building a lifestyle business, then any investment is too much. A lot of things can go wrong with a poor email marketing service. You can build a big list, but never have your emails reach their destination. You can run into technical problems, which induce frustration and waste your time. You can have trouble with customer support, and you’re left to figure things out on your own. All of this can be avoided by doing your due diligence and finding a provider that fits what you want to do. Remember, cheap isn’t always the best. We’re not here to save money. We’re here to build a lifestyle business that increases the freedom in our lives and gives us more control. With all this information in your head, what now? Well, now you sign-up to an email service provider, because starting with the next installment in this series, we’ll start looking at how to build your list and avoid some of the most common mistakes. Your only step for today is to take action and find a provider you like. Yeah, Aweber is the top performer among those email marketing services out there. At first, I tried to use Mailchimp because they’re free (people love FREE things, me too). However, it’s hard to get used to its system and moreover, it doesn’t allow direct links to your affiliate links. I gave up with this service and started to test Aweber, thanks to the recommendations of many bloggers. My first impression is WOW. It’s very clean and ease to use. The support team is great and I also received their personal email to me the next week that I haven’t think of before (You know, in my village, receiving a mail from foreign parters is considered as an honor). Thanks for the feedback, Tho! I’m sure MailChimp is great. I know many bloggers who use it, but like you said, it has its limitations. And also, in the free version, they don’t give you autoresponders. Yeah, Aweber is a great solution for email marketing, hence, most people use and recommend them. I was even with them and while I’m not blogging now (more than likely will be in the future, I’m sure) I know I will probably look into signing up when I get things up and going again. 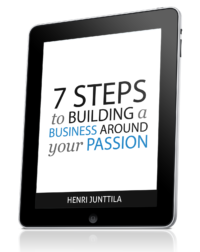 Like you said, Henri, no amount is too big if you’re serious about creating a business you believe in. I am trying to use mailchimp now. Mainly because it is free. I never tried Aweber yet. Once my subscriber base grow I will switch to Aweber. You are right that $19/month is not really a big amount. Good stuff. Do whatever works for you!